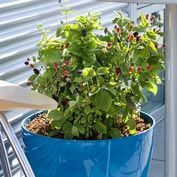 Baby Cakes Thornless Blackberry | Gurney's Seed & Nursery Co. 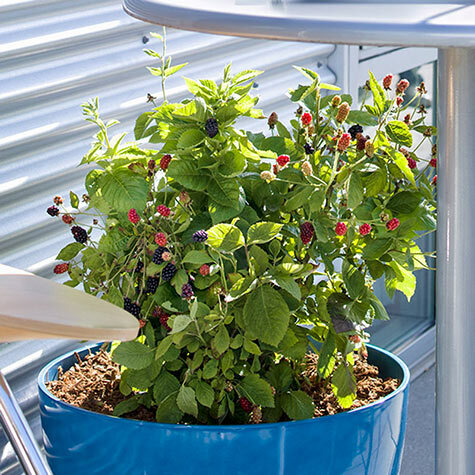 Dwarf, thornless blackberry plant is ideal for containers and edible landscapes. Bears sprays of large, sweet berries on second-year canes in midsummer. Double crops in many areas. Thornless canes grow 3 to 4 ft. tall. Zones 4-8. One gallon potted. U.S. Patent No. 27032.